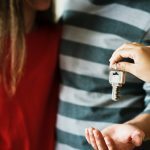 This page is part of our guide to renting in the UK – Check out more of our awesome content here. Prior to any tenancy starting, the landlord must ensure the tenants are provided with government’s How to Rent guide. If you live in Scotland, you should receive a Tenant Information Pack. A copy of the Energy Performance Certificate should also be given to the tenants. Tenants also have the right to know who their landlord is and contact details must be accurate and kept up to date. The deposit taken by the landlord or their agent must be secured in a government-backed scheme and the tenant must be provided with the details within 30 days of their deposit being taken. The deposit protection scheme will act as an adjudicator should there be a dispute. Read: How much should tenants pay for damage and missing items at the end of a tenancy? The tenant has the right to live in a property that is safe. Gas appliances which should be checked annually by a Gas Safe Registered Engineer. Electrical safety – all wiring, switches, sockets and built-in appliances must be safe to use. Fire safety – smoke alarms must be checked annually and installed on each floor, plus in any room with a solid fuel burning appliance, such as a coal fire. Any furniture and fittings supplied by the landlord must also be fire safe. Operating instructions for all electrical appliances should be left for the tenant. The exterior and structure of the building. Water supply, wastewater pipework, and sanitary fittings. Heating and how water supply. While a tenant has the right to have essential repairs carried out, this right does not extend to improvements. The amount of rent paid is usually set out in the tenancy agreement and is fixed for the agreed term. The landlord cannot increase the rent during the fixed term without your agreement. However, If there’s a rent review clause in the agreement, the landlord may increase the rent during the fixed term of the tenancy. At the end of the agreement, the landlord can increase the rent the but the tenant is not obliged to agree to the increase. If they refuse to pay the extra amount, the landlord can start the eviction process, which usually gives the tenants two months to leave. Rent increases should be fair and reasonable, that means they should be similar to other equivalent properties in the area. This means the landlord should only enter the property after giving the tenants 24 hours notice and gaining their permission. The frequency of the visits should also be reasonable, every three months for inspections is the industry norm. The landlord can also enter the property to carry out repairs, arrange viewings for buyers etc but they must still get the tenants permission and give 24 hours notice. Read: Can a landlord enter a rented property without the tenant’s permission? Disclaimer: This article by Job Prices is provided as a general guide. All information should only be used for the purposes of research and not as legal advice. Job Prices does not provide legal advice and the content on our website does not constitute a client-solicitor relationship.